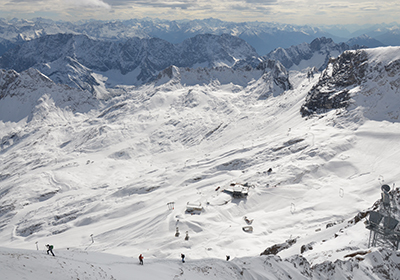 The ski pistes in the Zugspitze Arena are spread across a number of different sectors both sides of the border with access to the pistes from a number pleasant, Austrian villages. 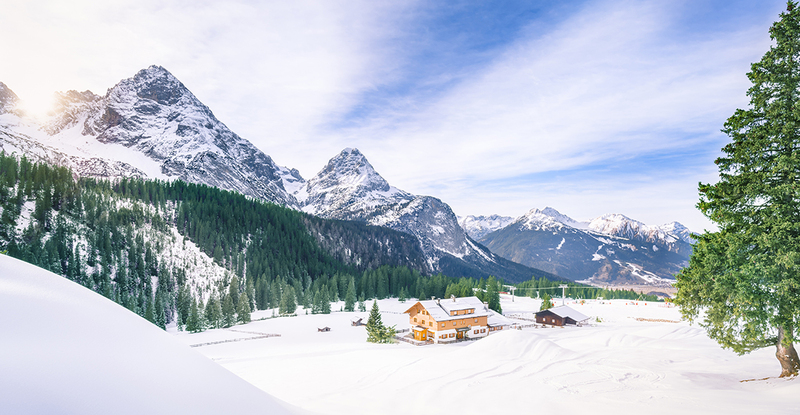 Ehrwald (1000m) and Lermoos (1004m) are the largest and most centrally located villages in this ski area, both sitting on the flat valley floor between the Zugspitz and Grubistein mountains. Lermoos is compact with a range of good family-friendly hotels while Ehrwald is a little larger and the atmosphere is livelier. 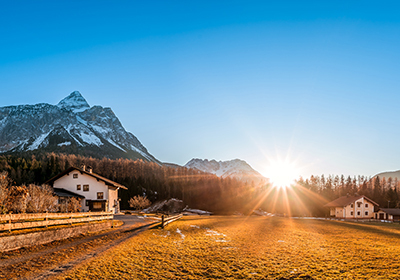 Both these villages are quite traditional and offer a good access point to the varied local skiing and summer activities that include the popular Zugspitze-Tirol golf club. Other villages in the area include Biberwier (990m), Bichlbach (1080m), Berwang (1340m) and Heiterwang (995m). Heiterwang is a small lakeside village a short bus ride from the slopes while Berwang and Bichlbach sit either side of a 36km sector of skiing. Berwang is especially charming with lifts rising on both sides, slopes descending right to the village and beautiful snowy scenery. Sitting at the border of Austria & Germany below Germany's highest mountain - the Zugspitz - the Zugspitz Arena boasts a total of 142km of skiing and 56 lifts across 6 key areas. 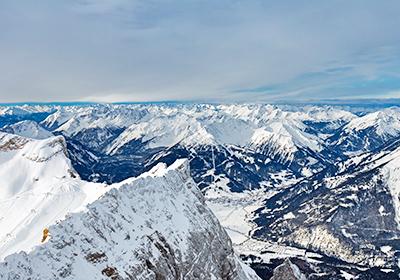 From the sunny, tree-lined slopes in the Skischaukel Berwangertal, to the open intermediate terrain at Ehrwald and the glacier skiing up on the Zugspitz, this area is hard to match in terms of the variety of terrain and scenery on offer. With the Top Snow Card you can also ski the full Garmisch-Partenkirchen area, Mittenwald & Grainau increasing the total kilometres of piste at your disposal to 213km, serviced by 87 ski lifts and 47 dining establishments. There are over 150 hiking trails in the area as well as a diverse range of bike trails and cycle paths. The 14.7km Blidsee cycling trail was chosen as one of 2018's 5 best trails in the Tirol region. In addition to the usual cycling & hiking fare, this region has a number of beautiful lakes including Lake Heiterwang where you can take boat tours, rent paddle boards and boats and have a swim. The beautiful Zugspitze-Tirol golf club is considered one of Austria's top courses with beautiful scenery, a splendid club house and a driving range.